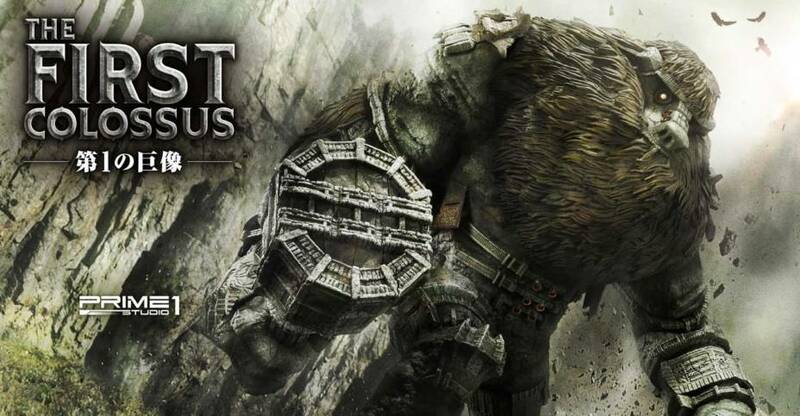 Prime 1 Studio has announced a limited edition Berserk – Nosferatu Zodd in Apostle Form Statue. The statue will stand about 32″ tall. 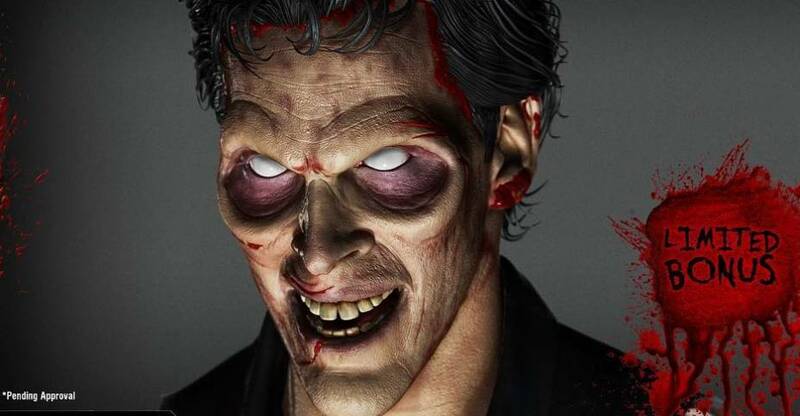 It includes diorama statue base and light up LED eyes. Prime 1 will only be producing only 400 pieces. It will be priced at $2,599. See details below and photos after the jump. Prime 1 Studio is proud to present UPMBR-03: Nosferatu Zodd in Apostle Form from Berserk. 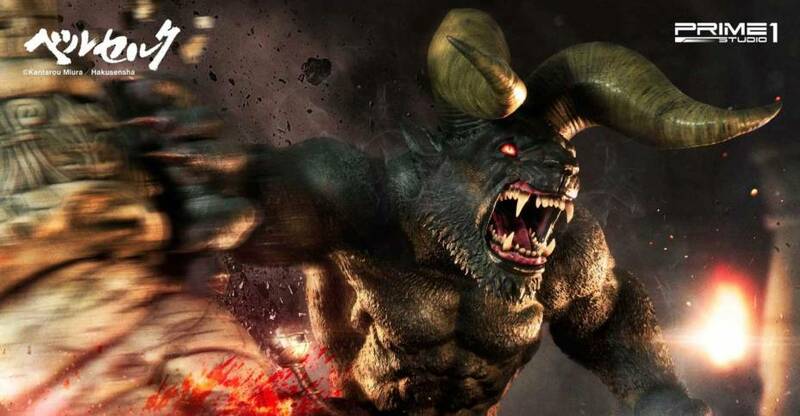 Nosferatu Zodd or Zodd the Immortal is a legendary sword master and recurring anti-villain throughout the series. Any battle in which he participates results in mountains of dead. He is a powerful apostle who travels from battlefield to battlefield seeking ever-stronger opponents. He serves as the rival of both the Skull Knight and Guts. This Ultimate Premium Masterline Berserk series brings to life the popular Japanese dark fantasy comics/manga and crafted with attention to details and true to the original design of the character. Nosferatu Zodd with LED Light up on eyes stand approximately 32 inches tall and 40 inches width representing one of the most iconic scenes of Zodd in his Apostle form. A must-have piece for all Berserk fans. 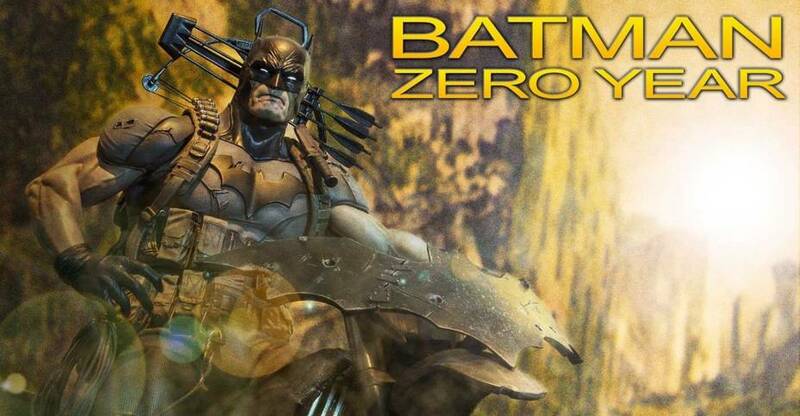 Prime 1 Studio has opened up pre-orders for their new DC Comics – Batman Year Zero 1/3 Scale Statue. The statue features Batman on his Batcycle from the New 52 comic series, sitting in a jungle themed display base. The statue stands over 25″ tall. 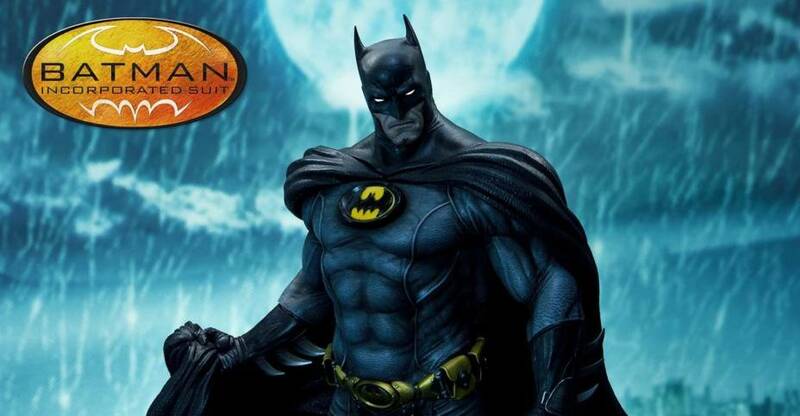 Batman includes a crossbow for his back, a right arm with an open hand, and a swap out right arm holding the crossbow. An Exclusive Version will also be available. That version includes a swap out right arm holding a grappling hook. The standard edition is priced at $1,549, while the exclusive is priced at $1,599. 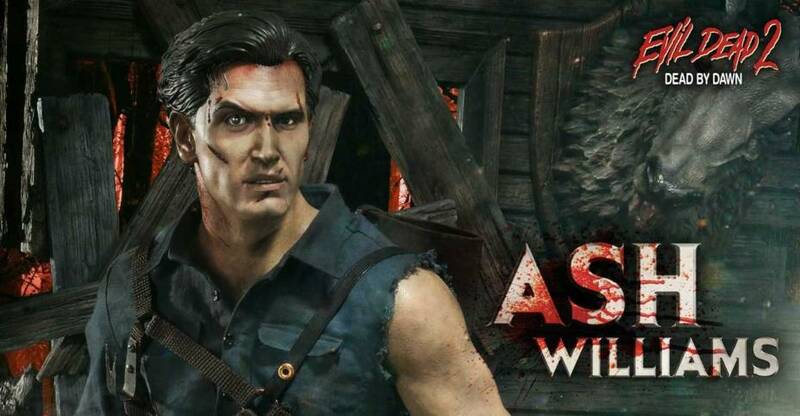 The statue is set for release between May and July of 2020. See photos, additional details, and pre-order links after the jump. Pre-orders have been opened by Prime 1 Studio for a new assortment of IT (2017) Pennywise 1/2 Scale Busts. 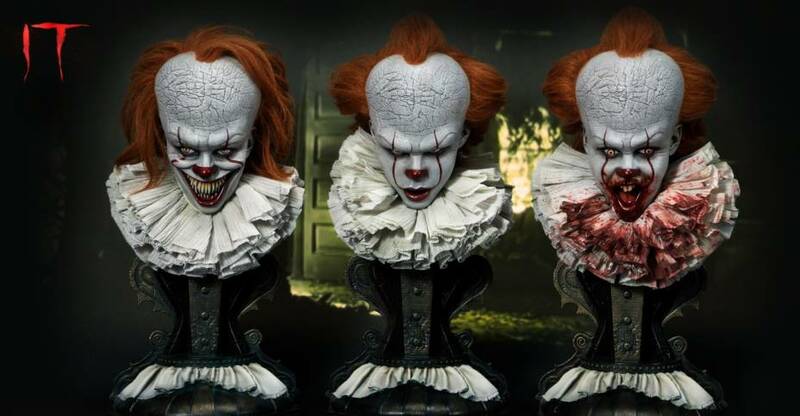 The three new busts are companion pieces for, and are compatible with, the previously announced Pennywise 1/2 Scale Statue. There are a total of three available, as well as a set containing all three. They have been named the “Serious” bust, the “Dominant” bust, and the “Surprised” bust. Each one includes a specialized display base, and stands about 16″ tall. The individual busts are priced at $499 each. The set of all three will run you $1,399. They are due for release between May and July of 2020. See photos, details and pre-order links after the jump. Pre-orders are live for a new DC Comics – General Zod 1/3 Scale Statue from Prime 1 Studio. The statue wil lstand at 33″ tall, with Zod standing on a Superman statue base. There are swap out parts for the base, including a severed Superman statue head. Zod will include am adjustable wired fabric cape, and interchangeable left arms. The Exclusive Edition, which is limited to just 500 pieces worldwide, includes an interchangeable heat vision portrait. The statue is due for release between May and July of 2020. Pre-order at the links below, and see the photos after the jump. 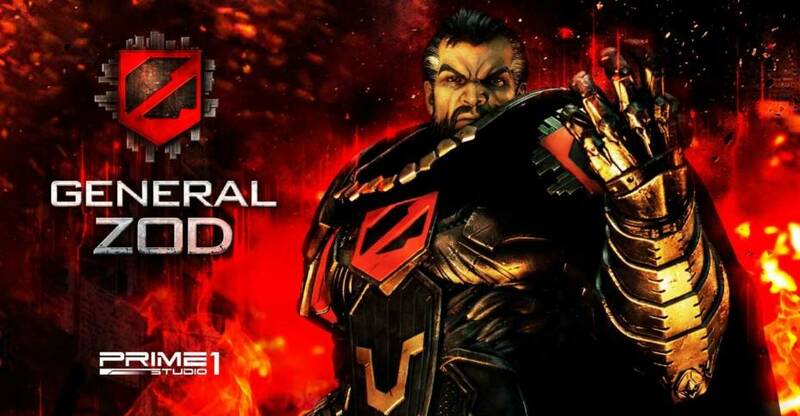 The Exclusive version of MMDC-37EX: General Zod includes an additional Heat Vision portrait. Superman Fans don’t miss your opportunity to own a General Zod in your collection. 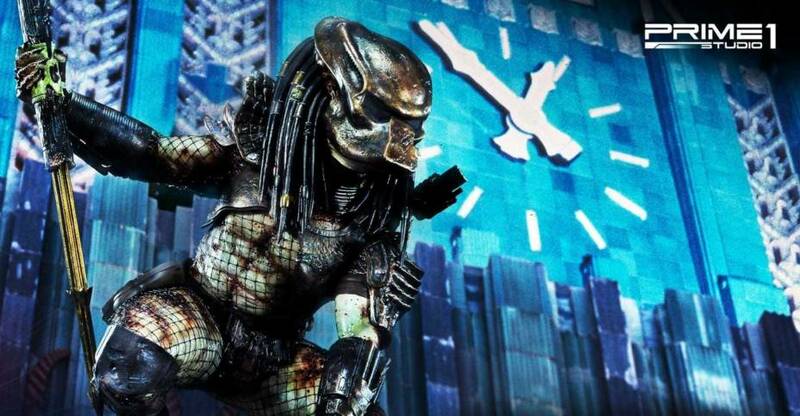 Prime 1 Studio is now taking pre-orders for their Predator 2 – City Hunter Predator 3D Wall Art Statue. The City Hunter is perched atop a Eagle structure base from the film. The Predator and base stands at 24″ tall, with the Combistick making it even taller. The statue can be displayed normally or it can be hung on a wall. It includes interchangeable masked and unmasked portraits, a right arm holding the Combistick, and a removable Smart Disc. The Biomask includes a LED targeting system that light up. The Exclusive Version will include a swap out right arm holding the Smart Disc. The statue is due for release between May and July of 2020. Pre-order at the links below, and see over 100 photos after the jump. An extraterrestrial species characterized by their hunting of other dangerous species for sport and honor, including humans are the Yautja, also widely known as Predators. This time Prime 1 Studio is proud to present WAPR-01: City Hunter Predator from the film Predator 2 into the new Wall Art line. This product line features a hangable and Table stand eagle base which gives the collectors to see the Predator from different angles. With careful and exquisite craftsmanship, the iconic stance of City Hunter Predator includes an alternate Bio-Mask portrait and an unmasked portrait. Moreover, he is equipping a Combistick on his right hand and removable Smart-Disc in his holder. The Exclusive version of City Hunter Predator includes a right hand holding the Smart Disc. 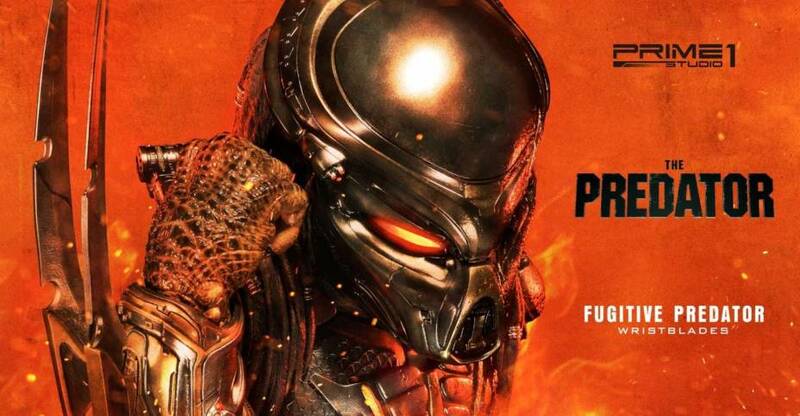 This will be the perfect decoration on your wall along with your Predator collections!